Data above is for end-2010. This was probably a policy mis-step. And the response was pretty evident. 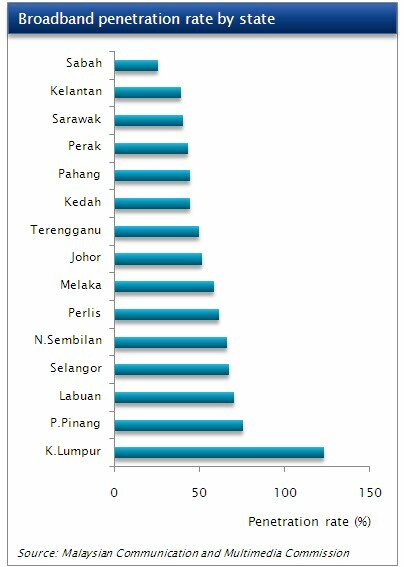 Especially considering that outside of KL, the average broadband penetration rate is some 50% of total households. I guess making it voluntary helps - who can imagine paying for another mail service (which the Government could probably read anyway).